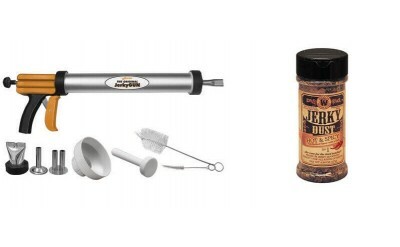 Beef Jerky at home isn't complicated to make and we have the tools to get the job done quickly. 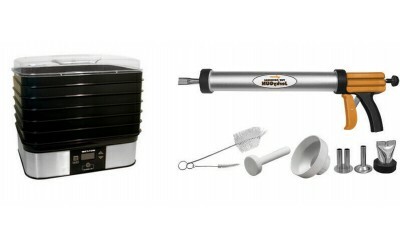 Beef Jerky can be dried using a dehydrator, smoker or oven. Beef Jerky making products are easy to use and fun for the whole family. 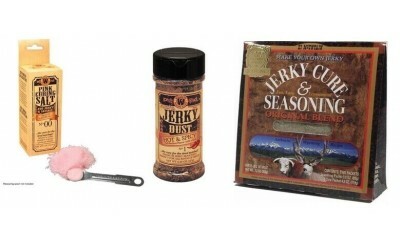 We carry beef jerky seasoning kits, meat cures, jerky guns, knives and all the other jerky making supplies you need. Brands such as Hi Mountain, Weston Brands, LEM just to name a few.